PSIO began as a concept in August 2010, and development did not start until late 2012 where the first prototype was designed from scratch. It took many revisions and prototypes until the end product was developed. Here are just a few of the several revisions we went through. Everything was hand soldered from scratch with component and equipment funding coming from our generous supporters. The Menu System did not start development until 2013, but it too went through many designs. 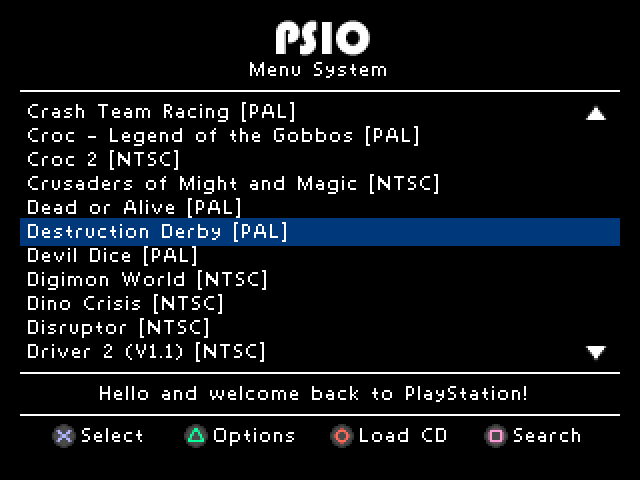 The end result was a Menu System that has high functionality, whilst still containing an early nineties embellishment that ties in well with the PlayStation system. 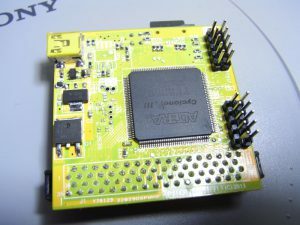 It was programmed from scratch in the C programming language (with some specialised routines written in MIPS assembler), and it consists of over 35,000 lines of code. The idea behind PSIO is simple. It’s a flash cartridge that offers high-speed software booting capabilities over the old and generic CD-ROM assembly. This means that software may be loaded via an SD Card, or by the built in USB port on PSIO directly. 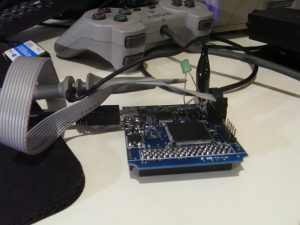 The final outcome from thousands of hours of work resulted in avoiding issues such as skipping and or freezing of software on the console itself due to old failing disc drives. ‘PlayStation’, ‘DUAL SHOCK’, the “Triangle, Circle, Cross and Square” symbols and ‘PSone’ are registered trademarks (R) and are copyright (C) Sony Computer Entertainment Inc. All Rights Reserved. PSIO is in no way affiliated nor a licensed product by and of Sony Computer Entertainment Inc. Replication, duplication or reverse engineering of the PSIO hardware and or software is strictly prohibited, and may result in severe civil and criminal penalties. 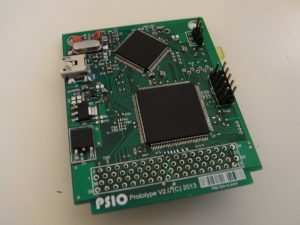 All source codes and hardware designs for PSIO are Copyright (C) 2010-2019 Cybdyn Systems. All Rights Reserved. 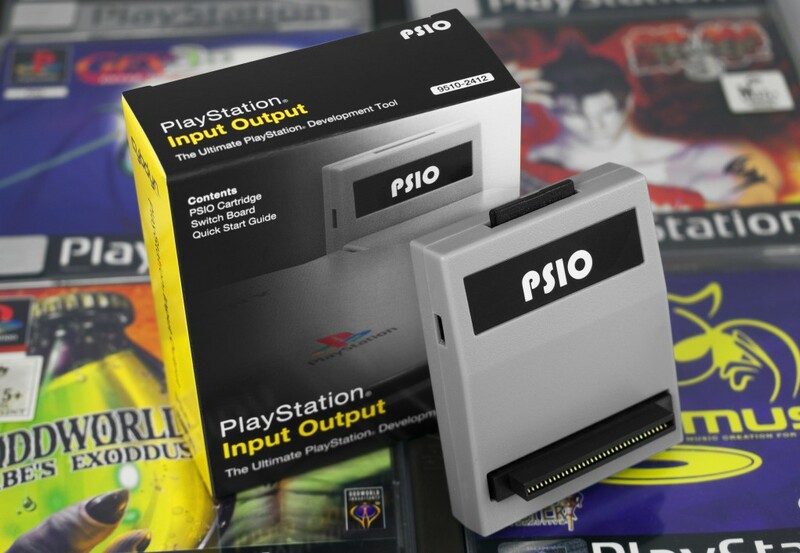 By running our hardware on your PlayStation, you agree to our terms and conditions, and you agree that PSIO is a development tool and as such, it is solely intended for use as a developers tool. 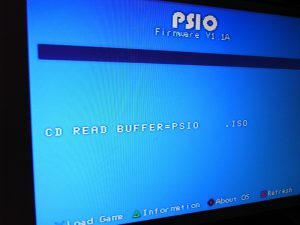 PSIO is in no way a modchip, modcard or device which bypasses or circumvents the internal security of the PlayStation system hardware or software in any shape or form whatsoever. For legal information about the use of the copyrighted word “PSIO”, please read our FAQ. The user of PSIO assumes full responsibility ensuring its use in accordance with local and federal laws. 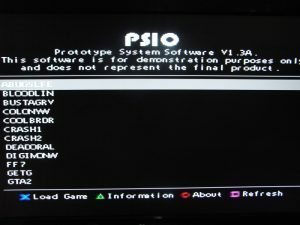 PSIO is in no way affiliated nor a licensed product by and of Sony Computer Entertainment Inc. The software and hardware on this site is provided “as-is”, without any express, implied warranty or guarantee. For more information, please see the Terms and Conditions here. Cybdyn Systems is a manufacturer and distributor of high quality consumer electronics located in Australia. We hold a reputation for being a friendly and diverse company, whilst providing excellent quality and well polished products on the consumer market. If you have any problems with any of our products or have any issues regarding sales, please feel free to contact us directly and we will always work with you to solve the problem. When we are not busy, we usually reply within a few hours. PSIO is Copyright (©) 2010-2019 Cybdyn Systems, (ABN 50 877 507 103). All Rights Reserved.